Is science a rigorous skill or just rote specialties? 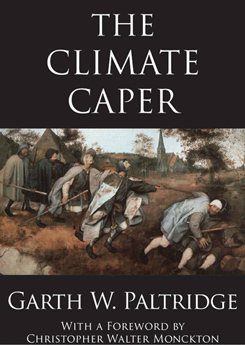 Prof Garth Paltridge released Climate Caper a year ago. As a working atmospheric physicist, his description of the fall of modern science is as insightful as his descriptions of the physics of the climate. One of the messages that struck me was his point that it used to be seen as imperative for scientists to not be too specialized; to work in different specialties. He points out that the mandate to publish or perish has far reaching consequences. To sum up his argument: the survival of a research scientist now depends on their ability to produce multiple papers; this rewards people who dilute their work, focus on trivial non-problems, and in short–tackle anything but difficult issues and deep revolutions. Because of the need for multiple publications, no institution today would employ a scientist who was trained in another area–the new researcher would require too much uptime before their publications began to roll. So universities aim to find PhD grads who are an exact fit for the program. (…aiming to find an exact fit, ensures) narrow-mindedness of scientific outlook, mediocrity in research, and a scientific literature that is so vast and overladen with minute of the unimportant, that most of it is never read by anyone. Which is quite a change from the middle of the last century, when it was drilled into the aspiring scientist that the very worst thing to do was “to spend ones life repeatings ones PhD.” Change of field, and indeed complete change of discipline, was regarded then as one of the essential mechanisms for maintaining the quality of scientific research. Understanding the process of science, and having the ability to reason backed up with a broad understanding of the basics across Maths, Physics and Chemistry means that any sharp scientist from any field could analyze the latest publications in an area and come to a reasonable conclusion about the state of the evidence on that topic. There is no reason our governments couldn’t pay to set up a completely independent team of scientists to audit the IPCC. (They could start by reading the NIPCC report here). These experts could come from outside climate science but be of a high enough caliber to know what questions to ask, which answers make sense, and whether a case hangs together. Because these experts would have other jobs to go to after the report was finished, they wouldn’t have a vested interest in the outcome–except obviously, they’d want to produce accurate work that didn’t turn out to look too silly five years down the track. Published by Connor Court, it’s in it’s third print run. Problems with climate models: How complex they are, how inadequate they are, how they are rarely constructed from scratch (most are patched together from others). The furphy of “Discount Rates” --somehow economists think it’s “reasonable” for people to pay fortunes now for a tiny theoretical economic gain in 120 years time. No one would sell a super fund with these numbers, why do we buy this uneconomical environmental 401K? Here’s yet another inconvenient skeptic. Those who want to suppress dissent may have nothing more than a PR degree themselves, but they mock anyone who isn’t part of the club of “climate scientists” and can’t publish peer reviewed science. Since alarmists care so much about the environment, you’d think they’d be keen to listen to someone who’s actually dedicated his life to studying the details. But curiously, if the expert supports the “wrong view” on atmospheric radiative physics (as defined by what, an NGO, a PR Agency?) they won’t pay attention to his research, but they’re suddenly very interested in his biography. Speaking of which: Professor Garth Paltridge is an atmospheric physicist, and was Chief Research Scientist with the CSIRO Division of Atmospheric Research, and has a string of other distinguished positions on his resume, but that doesn’t stop Sourcewatch or Desmog insinuating he’s a paid hack, because, god-forbid, he is listed as an advisor with a group which is directed by people who (shock) also work for another group that is or was partly funded by Energy companies. They also reveal the devastating allegations that Garth Paltridge is an “eternal optimist”, and worst of all, he has friends who are skeptics. The attack-dog sites describe in detail how he has been a skeptic for nearly 20 years, but in the curious world of stone-age-save-the-planet-logic, they think this consistent ability to see through spin, marketing and poor reasoning counts against him. In other words, they can’t find any dirt that matters. Garth obviously made up his mind a long time ago, and through an incredible uncoincidence, other groups and people who share his opinion sought him out. It is worth quoting further from Lord Monckton’s introduction to The Climate Caper — without giving away any of the juicy contents of Garth Paltridge’s book. Most scientists simply cannot believe that their colleagues would deliberately oversell a scientific conclusion for the benefit of a political cause. Dishonesty of that nature would fly in the face of everything that the rather idealistic typical scientist has been taught about his profession. Read The Climate Caper, it is a wonderful little book that should delight non-public-intellectuals and really put a flea in the ear of the alarmists. You can see more reviews on Amazon, and buy there, or direct from the Australian publisher. Garth Paltridge is a Visiting Fellow at the Australian National University and Emeritus Professor and Honorary Research Fellow at the Institute of Antarctic and Southern Oceans Studies (IASOS), University of Tasmania. In his career, he worked mainly with CSIRO and briefly with NOAA as an atmospheric physicist, and has published more than 100 books and scientific papers. 42 comments to Is science a rigorous skill or just rote specialties? Thanks for yet another incisive column, Jo. Garth is correct in his assessment of the narrow-mindedness; the lack of perspective of many specialists who only know the details of their field so well that they lose all perspective and become entrenched or enchanted. While it doesn’t take a rabid polymath to maintain perspective, it does take an open, curious (and sceptical) mind to maintain a balance; a sense of proportion of the speciality. i.e. that it is not the whole universe. It is not THE ANSWER. It is not unusual for people to have a go at me for trying learn many different things outside of “my area of expertise”; and subsequently incorporating them in the work that I do. That is because they cannot grasp that cross-disciplinary, “eclectic” knowledge and skills are often necessary to best solve real-world problems and to innovate. As a rule of thumb; everything that one learns from anywhere has the potential to help one to work better, or to simply enjoy life. Nothing that i’ve learnt has gone to waste, even if it’s just for pun. The independent panel that oversees the U.S. Postal Service has denied the agency’s request to increase the cost of mailing a letter by 2 cents – to 46 cents. The Postal Regulatory Commission announced its decision rejecting the requested price hike at a news conference Thursday. I too had a challenge to become a generalist ca 1955-65. I rather had to do it by stealth: a sequence of different undergraduate and graduate majors all justified on the bases of becoming a specialist. I continued that practice by mastering, on my own, a new discipline or critical sub-discipline each year thereafter. As Bernd Felsche states in #1, nothing went to waste no matter how disconnected it appeared to be to others at the time. I found and still find the trans-discipline questions/problems/issues to be the most interesting and potentially the most fruitful paths to follow. As a consequence, I am not a team player only capable of implementing narrow solutions. I am a team capable of solving a wide range of problems. There is another issue with science these days and that is funding. In climate science, most of the funding comes through one government or another. Many of these governments have a vested interest in one particular answer to justify an increase in tax revenue to curb behavior that might cause a problem later. In the US, anyone who did work for tobacco companies is labeled a hack, taxes on cigarettes now represent 75% of the price, and the money that was supposed to go toward smoking cessation programs suddenly dissapeared. Could it be the government likes the revenue and is reluctant to shut off the revenue stream? But smoking taxes only generate about $4 per day (from pack a day smokers) from just 20% of the population. Taxes on carbon could generate 2-3 times that revenue per person per day from the entire population so the government has a vested interest in the answer to justify limiting the supply of emissions to get a high price on permits. With goverment supplying the funding for climate research grants, requests are often worded to solicit support for the preferred government position. But perhaps the worst aspect of government funded climate science is the stifling of debate by the “real” climate scientists. Being a chemist, I recall a pair of prominent researchers proposing a set of rules for a type of organic reaction and in a section titled “Exceptions” the first sentence was “There are none.” That statement was not made to stifle debate it was meant to promote it. It was the equivalent of saying to that particular technical community at large ‘prove us wrong’. It sparked intense research in the area as many researchers pickup up the gauntlet to challenge the rules. In climate science, the mantra of the mainstream is ‘the debate is over’. (If it really is, then the funding should be over too.) Look at the difficulty of publishing a non mainstream perspective by Spencer, Pielke Sr and others. People get invited and then dis-invited to events or to write a position piece in a journal. Climate science is a technical field that is scared to death of debate. This speaks more loudly about the quality of the consensus position than stacks and stacks of peer reviewed papers. The climatards would just say that it’s soooo complucated what they do that only the most specialized geniusses in the world – themselves – can master climatardiology. Which means that there will be little job opportunities for them when the job culling will begin. How about a total CAGW PR disaster… surely? very graphic, lots of fake blood and gore /shock value…. watch the video here… Anyone sceptical persuaded by this short film…. to be shown in Cinemas. 10:10 Campaign – What on earth are they thinking!!!! Is that really supposed to persuade people! Stay with it until 1min 10 seconds, and the red button..
Francis Crick, the co-discoverer of the structure of DNA, was a professional physicist for 10 years before he took up biology, which six years later produced the discovery for which he is best known. Publish or perish coupled with the peer review system causes tribalism. It can’t do anything else. This is one reason why I left academia and went into industry, where they don’t care who your peer review tribe is, only what your performance is. It is no wonder that climatology is so tribal when great swathes of money are added to these problems. Fortunately there will be an improvement as web-only journals with low cost structure go to editorial review, and more of the non-consensus papers will then be published. The main trouble now is the big publishers are trying to keep their market share with their masthead journals, so they are less willing to take on a counter consensus or riskier web journal into their stable. Eventually this will break down, but it hasn’t yet. I think your comments on publishing are very valid. You miss one point — the big guys “play” on this impact factor to show how prestigious the Journal is and so presumably hold or attract more readers ( and authors ). But with Google and the ease of searching it enables , this basically removes that advantage. One can get your paper published in any Journal and have it picked up in a search just as easily. ( ie. the author can just put the paper up on the net by itself ). But I think at this stage , at least , the Journal gives the assurance of some sort of independence of review. Olympic 800m Gold Medallist Steve Ovett once famously said that the decathlon consisted of nine micky mouse events and the 1500m which none of them can do properly, when asked to comment on fellow countryman Daley Thompson’s gold medal performance in the 1980 Moscow Olympics. Reading Garth Paltridge’s book a few months ago made me think of Ovett’s arrogance, except that it is transferred to climate science which is arguably akin to the decathlon event, bringing together the expertise from many disciplines but not excelling (brilliantly) at any particular one. We see Mann rubbishing McIntyre and McKitrick for exposing all the statistical faults of the hockey team. That’s like Thompson declaring that he knows more about running a 1500m than Ovett because he (Thompson) had proven himself the world’s best all round athlete. I recommend Paltridge’s book. It is one of the few on climate scepticism which can be bought in a local book shop. PS: My copy just says “Foreward by Christopher Monckton” with no “Walter”. I wonder why the middle name was added. Science is no longer science. It has turned into a tradition taught over and over again. Many of the older science was corrupted due to suppression, religion, etc. and to stay alive, you did not go there. Our science is very vague. I think science still is a rigorous skill. But its practitioners are not out in the public eye. How about the microprocessors being produced by Intel and TI for example or the little company called 3D Systems where I did contract work for a year. They were doing cutting edge work with UV lasers and photo-setting resin for rapid prototyping. The chief scientist there was a rather unassuming man who never tooted his own horn but he was pushing the state of the art to the limit. When I started my career disk drives were big monsters and the storage capacity was counted in hundreds of kilobytes. Now I can hold a 2-terabyte disk drive in one hand. The private sector is where the real research is going on. The publish or perish types are just pretenders to me! They’re in universities and public agencies where there’s no need to actually produce anything that people will buy voluntarily. Paltridge is right; the mess needs to be cleaned up. But to do that the incentive needs to change and I’m not sure how we can get that accomplished. One other perspective: Lawrence Solomon, in his interviews, has found many scientists who find fault with the big climate players when they venture into the scientist’s specialty (e.g statisticians), yet they still say that they accept AGW theory because there is “so much other evidence” from other areas of science. It doesn’t seem to occur to them that the other evidence might be similarly flawed. Link. I did the same. The publication treadmill was driving me nuts. In industry its results that matter, not publications. There’s more money in it too, and more fun. Unless you are a research hack who never delivers anything. Science’s problem is that its been hijacked by the “INTELLECTUALS” whose primary goal in life is to seek admiration from their peers for verbal virtuosity. Two centuries ago geology was a pragmatic discipline and hampered by theological considerations but the basic observations of catastrophic accumulations of sediments was more or less correct despite the intractable problem of only one accepted catastrophe in the past, that of the Noachian flood. Cuvier’s solution was to allow the Diety the power to have many catastrophes as inferred from the stratigrahical record but that approach was flatly rejected by the English clerical geologists. The English Whigs were involved in a political battle to unseat the Tories from government and decided that the only way to achieve that was to undermine the authority that the Tories based their politics on – the Christian Bible. Charles Lyell, amateur geologist and lawyer published his Principles of Geology, an intellectual exercise that never once mentioned the word Stratum, to show that the Biblical accounts were better interpreted as literature and impeded the study of geology that, in his case, was mostly an intellectual pursuit and geological facts explained by reasonable arguments rather than empirical fact; verbal virtuosity in other words, which continues to the present day. Alot of science remains shackled by this approach and climate science is but the latest development of intellectualised science come to visit humanity. It seems to me that science continues happily along, even while people are reading the eulogies. Each branch of science tends to have its “golden age”, when it captured the public imagination. Physics grabbed headlines for the first few decades of the 20th century. Right now, molecular biology seems to be at the forefront. But maybe quantum computing will come up with something stunning. Astronomy seems to be going from strength to strength as we find out more and more about the amazing things in our universe. Climate science is not “interesting” for its own sake (like, say, string theory might be). Its something scientists work on because its important. Its unlikely you will get breakthroughs of Einstein or Newton magnitude – its just lots of guys beavering away on understanding the bits and putting them all together. From what I can see across the Internet, this sick video is being panned. Hard to believe adults could come up with an idea like this but with Greenpeace financiers being involved I suppose it would be naive of me to expect otherwise. Undoubtedly, a typical, low life attack on sceptical thinking from a moronic bunch of people who simply want to stick their noses into my/our lifestyle. Hard to understand why they are still banging the carbon drum when even the R.S. is backtracking! I still sit here shaking my head in disgust at what I have just watched and the fact that they used young children in it! I hadn’t got round to watching the video linked by Barry Woods but just did so, or at least part of it. Makes Clive Hamilton look good. Like you, I am disgusted. Hopefully this will backfire on the Greenies in a big way. I am not shocked by the bad taste of the ads… just amazed that the Greenpeace (oxymoron, I know) types are so far out of touch that they think this kind of advertising will benefit their cause. This makes the airplanes aiming for NY City look almost mild by comparison, but at least that one never reached the media in an official capacity. The science of an intellectual abstraction – and hence a purely intellectual activity that occasionally comes across physical reality when a climate scientists gets wet from rain on the way to and from the ivory tower and home. Otherwise its disconnected from physical reality by definition since it isn’t an object or a physical thing that could be measured and thus something that a proper scientist would be interested in. Bryan:	[Behind counter.] Good morning sir! How may we assist you today? John:	I have a complaint. Bryan: A complaint? In regards to what, sir? John:	The verbage is not the point of discussion. The underlying theory is dead. John:	Dead. Demised. Invalid. Falsified. Lacking substantive evidence and or at odds with known physical reality. In breach of the basic rules of science and logic. No longer considered viable as a paradigm via which mankind can understand the cosmos and his place therein. Dead. Bryan: It’s not dead sir – he’s just pining. Pining for the glaciers of the Himalaya’s. John:	My good man. The only pines involved were the late lamented Bristlecones vandalised by Michael Mann in the course of his fraudulent activities. Bryan:	We mustn’t speak like that sir! Professor Mann is a good man – an honourable man! John:	They are all honourable men. Bryan:	Absolutely sir! Thoroughly tried, tested, examined, investigated and totally cleared of any nefarious accusations made against them. All honourable men, sir. Bryan:	And I know what you’re thinking now sir. Bryan:	The tropospheric hot spot. John:	The hypothetical region of hot gases located in the equatorial troposphere proposed by the IPCC as a necessary stage in global warming and a certain sign and precursor of forthcoming climate Armageddon? It did cross my mind. Bryan:	We found it sir. John:	You found the hot spot? Where? Bryan: Exactly where it was supposed to be sir! It was there all along! John:	Then why wasn’t it discovered earlier? Bryan: Because people were looking for the hot spot with thermometers sir! John:	Isn’t that what thermometers are for? Bryan: Only sometimes sir. You see, the thermometer is a terribly quantitative instrument. And every time we measure something, there is a risk that we’ll be wrong. Perhaps only out by a fraction of a degree. But if we make thousands and thousands of measurements, then the cumulative errors are massive – tens or thousands of degrees! Have you any idea what that would do to the science? John:	No, but I still think it’s a good idea to measure temperature with a thermometer. Bryan:	But there’s a better way, sir! Bryan:	Wind shear! A surefire potential indicator of inferring a possible temperature differential in a column of unhindered air. All we do is measure the wind speed and direction at various points in the troposphere, homogenise the data, synthesise a suitable algorithm, take away the wife’s birthday and – there you have it – a tropospheric hot spot! John:	Don’t have any data, perchance? Bryan:	Why certainly, sir! Consider if you may, this graphical illustration. [Pulls out chart.] It shows wind velocity as a function of longtitude and altitude. The dots in the middle are the data points. John:	And what are those bat-like wings projecting from the data points? Bryan:	They’re the error bars. They show the range of potential error in each measurement. John:	Which seems to extend from “Flat Calm” to “Hurricane Force”. The errors span the width of the Beaufort Scale! Bryan: And notice, sir, how all of the data points lie comfortably within those limits! Clearly demonstrating that the physical measurements infer a situation that is not inconsistent with the existence of a tropospheric hot spot in the exact location nominated by the IPCC! You can’t ask for more than that sir. John:	I suppose you can’t. But what about the global temperature record? John:	Yes, I see. And there is a corresponding increase in the atmospheric CO2 content over the same period. But how do you know the two are actually related? Did the CO2 cause the temperature rise or was it the other way around? Or was it just a coincidence? Bryan:	More CO2 always means more temperature – we all know that sir. And have you ever found a sceptic who could provide scientific evidence that the correlation was a coincidence sir? John:	No, I suppose not. Bryan:	There you go. Another sceptical argument shot to pieces. Their guile and sophistry is no match for our scientific and logical rigour, is it sir? John:	You’re right. But what about the paleoclimate – that period millions and hundreds of millions years ago? Bryan:	You mean a period in which atmospheric CO2 levels were a dozen times higher than today, in the course of which earth endured Ice Ages nonetheless? I’ve heard of them. John:	But how does one explain them? Bryan:	You forget, sir, that the sun is evolving. And that, during the period in question, its energy output was only 95% of what we see today. A colder sun means a colder earth – hence the forementioned Ice Ages. John:	But doesn’t Stephan-Boltzmann come into this somewhere? Bryan:	The basic law of radiation heat transfer which denotes that the equilibrium temperature of a black body surface varies as the fourth root of the radiative energy it emits? Bryan:	An unnecessary refinement sir – it has little or no bearing to the issue at hand. And we all know that the surface of the sun isn’t black – it’s generally yellow with red patches. I wouldn’t worry myself about that sir. John:	Well, I think you’ve convinced me. There’s nothing wrong with this theory at all. Thank you for your time. Good day. Bryan:	And here it is sir, updated. [Recovers identical book from under counter, shows it to John.] It’s called the “Global Climate Disruption” theorem. Yours for only $50. John: [Leaving shop, smiling to camera.] Now that’s what I call service! Because climate science has been filled with people with insufficient basic science background, it has made fundamental errors now coming back to haunt it. The worst is cloud optical physics. When the climate models over-predicted temperature rise from the CO2-AGW hypothesis, it was claimed that global cooling via aerosols hid the ‘effect’. In AR4 that comes to an offset of 75% of ‘median present AGW’. In reality, what appears to have happened is the biggest scientific fraud since Piltdown Man. After giving a prize to the originator of partially-correct theory, Twomey, which he warned couldn’t work for thick clouds, NASA apparently claimed a sort of mirror effect for polluted clouds, high surface area of water droplets giving more ‘reflection’. That is totally wrong physics. It claims 50% increase in AGW via an amplification of the CO2 effect. The alternative explanation, a mechanism involving tropical ocean clouds is just as likely: reduce albedo from 0.7 to 0.55 and you get the 50% increase in energy transmission. Clouds comprise 23% of the Earth’s 31% total albedo. Additionally, the direct aerosol effect is being hauled back. Highly amplified AGW via CO2 is losing credibility even amongst the faithful, as it should be because since about 2003 when the ‘cloud albedo effect’ could not be proved experimentally, it has been propped up by an outrageous scientific scam. PS Forgot to add this. The cloud AGW hypothesis explains why global warming, at least according to ocean heat capacity data, stopped in 2003. It was when the tropical ocean clouds were saturated by the Asian Brown Cloud from globalisation. So, AGW looks likely to be a self-limiting process and it’s finished. its just lots of guys beavering away on understanding the bits and putting them all together. But I thought the science was settled, what’s there to know? It’s CO2 what done it all. It’s certainly NOT the sun. We don’t think it’s the clouds. A couple of degrees will decimate the planet and all it’s life forms. We know exactly how much to reduce CO2 emissions by to save humanity. Yes, but how big will the effect be? We can look at historical data, we can make models…..
Well, of course it is the sun. Without the sun we would be a frozen planet. Not including the sun would be stupid. Of course the oceans are terribly important. They store more heat than the atmosphere. Their circulation needs to be understood better. Plenty of work for scientists there. Well yes, this is another area which needs more work. But past history suggests that clouds won’t be a major factor. Well, given that we’ve adapted to our current climate, any change (hotter or colder) is bad. Two degrees is a lot. Ah yes, now we get to the juicy bit. Its all too difficult, isn’t it? Might as well get on with business as usual. After all, Baa, I’ll be very lucky to be around in 40 years, and by then I’m more likely to care about my continence than the weather. Then why when NASA had commissioned work to find out why the ‘cloud albedo effect’ didn’t exist was it included in AR4 as the biggest correction to high AGW? And why does NASA put out on its websites, e.g. : http://earthobservatory.nasa.gov/Features/Aerosols/ , a totally wrong scientific explanation of the physics? Is it because you have to explain cloud albedos > 0.5 using a second optical effect in addition to diffuse optical scattering? A physics which predicts a substantial heating effect when you reduce droplet size by pollution? And is that physics already known but suppressed because it shatters the ‘only CO2 AGW’ hypothesis? This is very serious stuff because it suggests that climate science and the public have been expertly deceived. So, now we have put in traditional science like minded thinking into generation after generations of our scientists. They are bound by these hypothesis LAWS and are bound into individual areas. Is our planet and solar system bound by mans LAWS too? Many of this planets processes are interconnecting and overlaping. Yet we have NOT studied planetary motion which is the process of motion. Look no further than string theory and quantum mechanics to see that science has become a rote exercise. Modern physics theory has scarcely advanced in 50 years. The whole discipline has digressed into an engineering exercise where we wait around for technology to advance enough to build ever bigger colliders and ever more accurate microscopes. And when we finally build them they fail to validate any of the nonsensical predictions of these narrow minded theories. So what do we do? Build more, bigger ones than that. Retarded. When did we start doing physics with statistics? When did we start crafting caveats to rectify observations that contradict theories instead of tossing the theory itself? Why do we consider the decrees of scientific “ministries” to be proof, while casting aspersions on observations and measurments? Why is the inept gravitational model of the universe deemed the only credible one? Why, in a discipline of discovery does everyone frame every concept in the terms of the pre-existing? Is there even a shred of scientific truth in ALL of medical science? And most of all WHY DO COMETS HAVE TAILS? Science, like everything has been corrupted by equal shares of greed, politicking and ignorance. And sadder still, the folks that you hoped would have been the first to stand against this highjacking instead use their prominence to campaign for the highest ranking positions in the new order. Modern science is a joke, a disgrace, and ultimately a liability to all of us. Millions of years of human evolution have apparently led to nothing more than discovering how much time-wasting crap we can cram into a cell-phone. Time travel, gravity, relativity, the speed of light, and (of course) global warming, are concepts that science has, seemingly on purpose, gotten horribly and embarrassingly wrong. Add that to the joke that is cancer, AIDS, genomics, and nutritional research, and science ceases to meet its own definition. But hey, you can’t let the facts get in the way of a good indoctrination right?! Science has become what it is because it has been captured by the Platonists, those who believe facts are the outcome of consensus. It’s basically the science of the political left, the liberals in the American sense of the word, or cutting to the chase – socialist science. Climate science has become what it is because we have too many mediocre people being paid to make contributions to the understanding of science; we simply have too many scientists, and the cause of that state of affairs lies in the political belief of socialism and the equality of outcomes. But the parrot’s still dead, right? I like your style of see beyond the garbage. Our concept of motion is math of distance and time it takes to get there. PERIOD. Actual motion is much more complex in actuality as motion changes density and can compress mass. Contained motion is far different than free flowing motion. Speed of motion with different gases and density mass does very different things in the compression and energy they store. This is very easy to verify through shown experimentation. Just showing Newton was incorrect. Obviously culling of human beings to satisfy the religion of global warming is being promoted. ‘E is no more. ‘E’as ceased to be. He has shuffled off this mortal coil and joined the choir invisible. ‘E is an ex-parrot! They are starting to figure it out, the epiphany of hopefully watching that little kid scream out during the parade that, “the emporer has no clothes!”, doesn’t seem to be happening as such, but it seems to be revealing itself to be more of a slow striptease around the government-eco-facsiast scientific-financial interest pole of money for bankers,gov. power grabs and implementation of the Orwellian model. Anybody fathom a guess how many clothes she/he/shehe has left and what will finally be revealed when the naked truth comes to light? The UK’s leading scientific body has been forced to rewrite its guide on climate change and admit that it is not known how much warmer the Earth will become. The Royal Society has updated its guide after 43 of its members complained that the previous version failed to take into account the opinion of climate change sceptics. Now the new guide, called ‘Climate change: a summary of the science’, admits that there are some ‘uncertainties’ regarding the science behind climate change. And it says that it impossible to know for sure how the Earth’s climate will change in the future nor what the possible effects may be. The 19-page guide says: ’It is not possible to determine exactly how much the Earth will warm or exactly how the climate will change in the future, but careful estimates of potential changes and associated uncertainties have been made. And it avoids making any predictions about the possible impacts of climate change and advises caution in making projections about rising sea levels. for a given temperature increase. ‘Similarly, the possibility of large changes in the circulation of the North Atlantic Ocean cannot be assessed with confidence. The latter limits the ability to predict with confidence what changes in climate will occur in Western Europe. The new guidance still makes it clear that human activity is one of the likely causes for climate change but now does so in a more considered way. The working group behind the new book included two Royal Society fellows who were part of the 43-strong rebellion that had called for the original guide to be rewritten. Professor Anthony Kelly and Sir Alan Rudge are both members of an academic board that advises a climate change sceptic think-tank called the Global Warming Policy Foundation. Professor Kelly said: “It’s gone a long way to meeting our concerns. And Benny Peiser, Director of The Global Warming Policy Foundation also welcomed the Royal Society’s decision to revise. the 1980s and 90s has come to a halt in the last 10 years. ‘In their old guide, the Royal Society demanded that governments should take “urgent steps” to cut CO2 emissions “as much and as fast as possible.” This political activism has now been replaced by a more sober assessment of the scientific evidence and ongoing climate debates. The new book is certainly very different in tone that the original and takes into account some of the problems that have arisen in climate change science over the past year. The new version sets out its objectives by saying: ‘In view of the ongoing public and political debates about climate change, the aim of this document is to summarise the current scientific evidence on climate change and its drivers. The Royal Society’s decision comes in the wake of a scathing report into the Intergovernmental Panel on Climate Change which called for it to avoid politics and stick instead to predictions based on solid science. The review, which focused on the day-to-day running of the panel, rather than its science, was commissioned after the UN body was accused of making glaring mistakes. These included the claim that the Himalayan glaciers would vanish within 25 years – and that 55 per cent of the Netherlands was prone to flooding because it was below sea level. Earlier this year an email scandal involving experts at the University of East Anglia had already fuelled fears that global warming was being exaggerated. So the Royal Society is fooling exactly who? I wouldn’t buy a used car from these people, much less anything more serious. This document draws upon recent evidence and builds on the Fourth Assessment Report of Working Group I of the Intergovernmental Panel on Climate Change (IPCC), published in 2007, which is the most comprehensive source of climate science and its uncertainties. That’s from page 3. Guess who they rely on? But it gets better. Furthermore, the detection of climate change in observations, beyond the expected internal climate variability, is not the same as the attribution of that change to a particular cause or causes. Attribution requires additional evidence to provide a quantitative link between the proposed cause and the observed climate change. One might think! And so they say. But then they go on and attribute it to human activity anyway. Of course it’s all accompanied by a lot of very convincing empirical evidence, oops, models. But I get ahead of myself. In complex climate models climate sensitivity emerges as an output; in the simpler calculations it is specified either as an input or it emerges as a consequence of simplified (but plausible) assumptions. That’s not the whole quote about models but guess what they place great reliance on? Plausible indeed! There is strong evidence that changes in greenhouse gas concentrations due to human activity are the dominant cause of the global warming that has taken place over the last half century. This warming trend is expected to continue as are changes in precipitation over the long term in many regions. Further and more rapid increases in sea level are likely which will have profound implications for coastal communities and ecosystems. I warned you! Nothing has changed. Like many important decisions, policy choices about climate change have to be made in the absence of perfect knowledge. Even if the remaining uncertainties were substantially resolved, the wide variety of interests, cultures and beliefs in society would make consensus about such choices difficult to achieve. However, the potential impacts of climate change are sufficiently serious that important decisions will need to be made. Climate science – including the substantial body of knowledge that is already well established, and the results of future research – is the essential basis for future climate projections and planning, and must be a vital component of public reasoning in this complex and challenging area. This is just a sop to quiet the noisy group. What has changed? The IPCC is still the authority and humans are still responsible. Nothing will ratchet down, only up. QED, business as usual. And several of the above posts mention the recent Royal Society (RS) statement concerning anthropogenic (i.e. man-made) global warming (AGW) and computer models. So, I think the following points deserve mention here. 38. When only natural climate forcings are put into climate models, the models are incapable of reproducing the size of the observed increase in global-average surface temperatures over the past 50 years. However, when the models include estimates of forcings resulting from human activity, they can reproduce the increase. Firstly, it means nothing that “when the models include estimates of forcings resulting from human activity, they can reproduce the increase”. Atributing recent climate change to “estimates of forcings resulting from human activity” on that basis would be the logical fallacy of ‘argument from ignorance’. Of course, they phrase it differently saying they can’t match historical climate change with known climate mechanisms unless “estimates of forcings resulting from human activity” are included. But evidence for these “forcings resulting from human activity” is no more than the evidence for witches. Importantly, all global climate models and energy balance models are known to provide indications which are based on the assumed degree of “forcings resulting from human activity” resulting from anthropogenic aerosol cooling input to each model as a ‘fiddle factor’ to obtain agreement between past average global temperature and the model’s indications of average global temperature. A decade ago I published a peer-reviewed paper that showed the UK’s Hadley Centre general circulation model (GCM) could not model climate and only obtained agreement between past average global temperature and the model’s indications of average global temperature by forcing the agreement with an input of assumed anthropogenic aerosol cooling. And my paper demonstrated that the assumption of anthropogenic aerosol effects being responsible for the model’s failure was incorrect. Kiehl found the same as my paper except that each model he assessed used a different aerosol ‘fix’ from every other model. Figure 2. Total anthropogenic forcing (Wm2) versus aerosol forcing (Wm2) from nine fully coupled climate models and two energy balance models used to simulate the 20th century. and the dots on that graph are all over the place. The underlying problem is that the modellers assume that additional energy content in the atmosphere will result in an increase of temperature, but that assumption is very, very unlikely to be true. Radiation physics tells us that additional greenhouse gases will increase the energy content of the atmosphere. But energy content is not necessarily sensible heat. An adequate climate physics (n.b. not radiation physics) would tell us how that increased energy content will be distributed among all the climate modes of the Earth. Additional atmospheric greenhouse gases may heat the atmosphere, they may have an undetectable effect on heat content, or they may cause the atmosphere to cool. The latter could happen, for example, if the extra energy went into a more vigorous hydrological cycle with resulting increase to low cloudiness. Low clouds reflect incoming solar energy (as every sunbather has noticed when a cloud passed in front of the Sun) and have a negative feedback on surface temperature. Alternatively, there could be an oscillation in cloudiness (in a feedback cycle) between atmospheric energy and hydrology: as the energy content cycles up and down with cloudiness, then the cloudiness cycles up and down with energy with their cycles not quite 180 degrees out of phase (this is analogous to the observed phase relationship of insolation and atmospheric temperature). The net result of such an oscillation process could be no detectable change in sensible heat, but a marginally observable change in cloud dynamics. However, nobody understands cloud dynamics so the reality of climate response to increased GHGs cannot be known. So, the models are known to be wrong, and it is known why they are wrong: i.e. 5. but there is good reason to suppose that they are all wrong because they cannot emulate cloud processes which are not understood. Hence,the statement in the RS document (which I quote above) is misleading. It’s wrong because it assumes a single process, internal scattering, when there’s also an upper boundary effect. You can see this for thunder clouds, dark underneath because very little light enters, very bright to satellites. Yet reputable reference works wrongly interpret this low transmission as high optical depth. It’s nonsense: for thick clouds, pollution rapidly must reduce albedo. To use a one equation fits all assumption has been an incredible scientific elephant trap. Since high predicted AGW from CO2 wrongly assumes cooling from polluted thick clouds, the IPCC’s prediction of future high AGW from CO2 are very wrong. Since according to ocean heat capacity, global warming stopped in 2003. I suspect rapidly rising Asian aerosol pollution reduced cloud albedo, particularly over tropical oceans thus heating the oceans, until the effect saturated. This is not to claim there hasn’t been outstanding work in climate science, just that the IPCC has to be replaced by competent management and, if there’s to be no real AGW problem, junked. Thank you for your comments at #40 on climate models which I agree. didn’t we meet at CRE in the early ’90s when I was working on CCS? Quite possibly because I was working there at the time, but I apologise that I do not remember our meeting (it is nearly two decades ago). Some things just keep on giving. Our old friend, “Hide the Decline,” is back.